Pop Haydn's routine for the color-changing knives is completely redone for the 21st Century. This version plays big, and completely engages and captivates the audience and leads them on a fun ride that twists and turns and then brings them back to the starting point with a WHAM! "If I show you a knife, and close my hand and you hold my wrist and don't take your eye's off my hand, and I open my hand and that knife is gone - that wouldn't be sleight of hand would it? It would be REAL Magic!" "No one can do that without creating what we call the intricate web of distraction... Want to see it in operation?" Thus starts a bewildering array of vanishes and transpositions that eventually end with knife actually disappearing under impossible conditions. This is a magical and entertaining routine that does not require a lot of sleight of hand. The props are standard and easily available at almost any magic store. They pack small and play big, and are easily carried without a holder in the pants pocket. The routine can be done surrounded, and is instantly ready to go again. This is a professional routine that always plays well and adds a little variety from cards to coins. 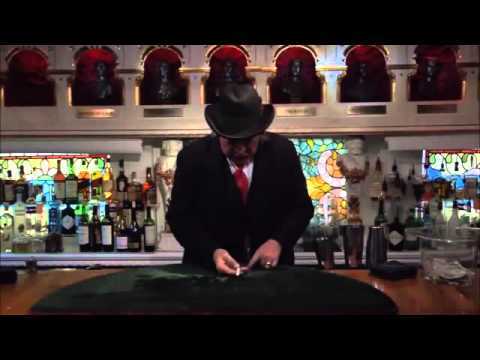 Every detail of handling and presentation is explained, and there is a live performance of the routine in the W.C Fields Bar at the Magic Castle in Hollywood, CA. For more magic by Pop Haydn, click here.